At Luxury Executive Travel, your satisfaction is our priority. That’s why we’re committed to delivering the best top-quality executive-level travelling benefits to all of our customers. Once we receive your information, our qualified team will begin to plan the perfect plan that best suits your travel needs. 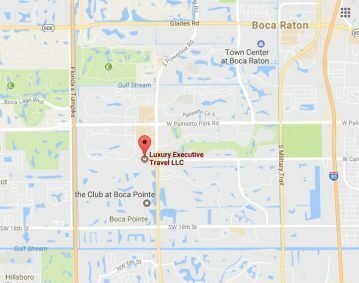 At Luxury Executive Travel, each customer is unique and important to us, and the job isn’t finished until you’re satisfied. I have been using Luxury Executive Travel (LET) for my business travel needs for the last two years since I was first referred to the company. I have never used another travel related company since. LET makes the entire travel experience better. Agents are able to find great deals where no one else can. I am very happy to recommend this company without reservation! My wife and I used Luxury Executive Travel to book an around the world trip mostly in Business Class, starting and ending in Phnom Penh, Cambodia and visiting 5 cities in 4 countries over the 6 weeks. Due to some conditions on the carriers that we could use it was not a completely straightforward itinerary, but Yitz from Luxury Executive Travel worked with us every step of the way and got us a very nice routing that came in 15% less than any competitor and more than 50% less than if we had simply booked through one of the airline alliance sites (Oneworld, Star Alliance or Sky Team). I recommend Luxury Executive Travel highly and will use them again. My experience with Yitz at Luxury Executive Travel has been nothing short of wonderful. I have had to make many changes, to many flights, and he handled it professionally and smoothly every time. Making sure we got the best prices for our trip and making sure all of our needs were met. MOST importantly, he was ALWAYS available for us and could fix any issues. We couldn’t be happier with the service and will refer Yitz and his company to anyone with International travel needs. Thank you, Yitz and Team at Luxury Executive Travel..
See the rest of our reviews on TrustPilot, Facebook, and Google!